While the amount and frequency of baby’s dirty diapers can be a valuable indicator of his well-being, there is a wide range of normal in infant stooling patterns. 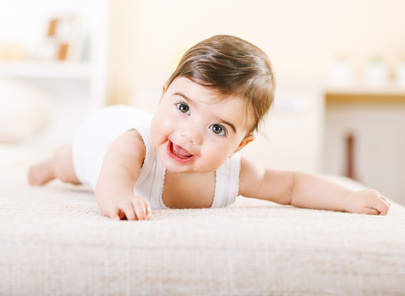 A baby’s stool can appear in wide variety of textures and colors, and it is normal for first-time parents to be concerned about what is normal and what should be considered abnormal in infant bowel movements. What should be the color, consistency and frequency of baby’s poo? During the first few days, a newborn is going to pass dark tarry stools. After a few days stools start to appear yellow and grainy. Breast milk poop is yellowish-green and seedy. It is not exactly formed, but not liquid either. Yellow-green, greenish and greenish yellow hues are common stool colors in breast-fed infants. Breast milk poop normally does not stink. On the other hand, formula-fed babies produce light brown and pasty stools. As the baby starts eating solid foods, it may start producing medium to dark brown stools. The stools may have a strong odor, depending on what the baby is eating. If the baby is feeding like normal and is healthy with no signs of illness, changes in color and consistency of stools is not of much concern. Initially, a infant might be having six to eight bowel movements a day. After about six weeks, the frequency of stools may decrease as the colostrum present in mother’s milk starts to disappear. Colostrum has laxative properties. At about 6 weeks, the baby may have bowel movements five times a day. On the other hand, some healthy breast-fed babies have been known to have only one bowel movement every day or two, but their stool is still soft and easy to pass, meaning that they are not constipated. Breast-fed babies rarely are. Most formula-fed infants have only have a frequency of one bowel movement a day. If your newborn baby is passing dark, meconium filled stools which continues even after they are a few days old, you need to let your pediatrician know. Green frothy stools are a sign of lactose overload and require medical attention. If stools are watery and stink, it is a sign of infection. Once again, please see your pediatrician. Constipated stools are pebble-sized and firm. The frequency of stools may not be a good indication if baby is constipated. 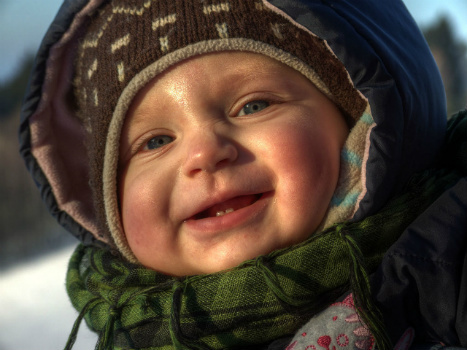 Once solid food is introduced, a baby may show signs of diarrhea or constipation, which are good clues that it is not tolerating the change in diet. Formula-fed babies are more prone to constipation. Infants on cow’s milk also tend to pass dry, hard stools. In very rare cases, genetic medical conditions such as thyroid deficiency, metabolic disorders or neurological disorders may be the cause of constipation in infants. Consult your pediatrician to rule out these health conditions. One of the most simple and effective ways to relieve constipation in an infant is by adding Ionic Sea Minerals to baby’s milk. For breast-fed infants, use a breast pump to express out at least 3 or 4 ounces of milk. Then add a drop or two of the sea minerals and gently shake. This may be repeated for later feedings if constipation persists. Ionic sea minerals are a good source of many beneficial minerals. However, it is the magnesium content that helps to relieve constipation. Magnesium draws added water into the colon, which adds moisture to stools. The sea minerals contain magnesium and potassium, both of which have a bitter taste. Therefore, be careful not to add too much to baby’s food. If the sea mineral treatment doesn’t help to restore normal bowel movements, it is time to see your pediatrician. Whether you are a new mom or an experienced mother, it is helpful to understand what the differences in your baby’s poop mean. A baby’s bowel movements are a good indication of the health and well-being of your baby. Like what you have found? Please share your comments in the box below. Order Ionic Sea Minerals Now! Disclaimer: The entire contents of this website are based upon our personal opinions, and is for general information purposes only. Please click here to read our full disclaimer.